Poet Bhanu Bhakta Acharya is the first poet who has written poem in the mother tongue. Although there were Nepali poets before Bhanu Bhakta, he was the first poet who became popular among the Nepali people at that time. At the time of Bhanu Bhakta, all the poets used to write in Sanskrit language. Sanskrit was the language of the learned people. But, most of the normal people didn’t know Sanskrit language. In addition to that, it was also a very tough language to master. As most of the texts in that time were written in Sanskrit, a normal person wouldn’t be able to read or understand them. By knowing the limitations of the language, Bhanu Bhakta decided to translate one of the most popular epics of Hindu mythology, ‘Ramayan’ in Nepali. He wrote the full epic in an easy to understand and easy to enjoy form. The poetic story of Ram and Sita became very popular. But, nobody knew about Bhan Bhakta’s ‘Ramayan’ in the beginning. Another poet, Motiram Bhatta, made it popular by promoting the some time after the death of the creator himself. So, Bhanu Bhakta didn’t live to see how popular his book became or how popular he himself became. As the text became popular and people started keeping it in their homes and sing them, Bhanu Bhakta was given the title ‘Aadi Kavi’ – meaning the first poet of Nepal. To honour the poet, Bhanu Jayanti is celebrated every year on Ashad 29 (in 2018 it is July 13). 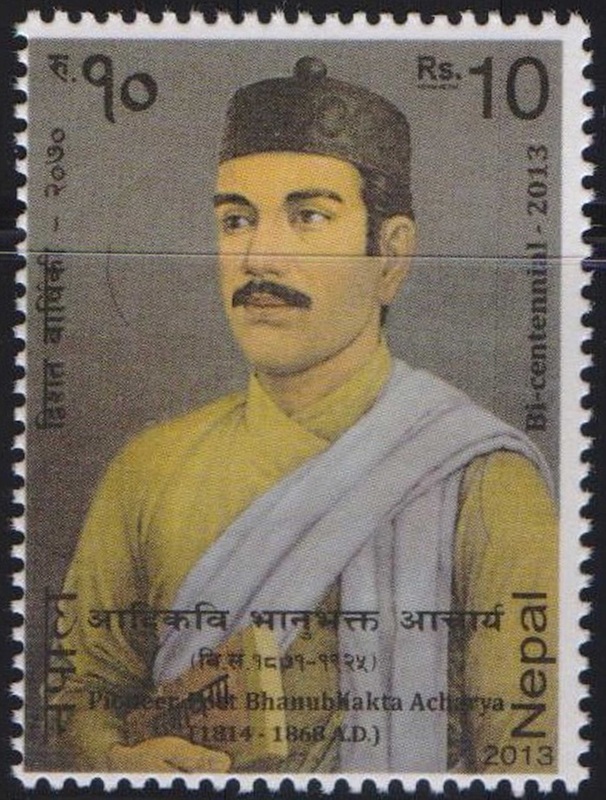 Who is Bhanu Bhakta Acharya? Bhanu Bhakta Acharya was born in a well-to-do Brahmin family in Chundi Ramgha Village of Tanahun in 1871 BS. His father sent him to get proper education of that time in Sanskrit language. There is a saying that a grass cutter who inspired Bhanu to serve the public with good deeds. According to legends, Bhanu met a grass cutter who was saving a little bit of the money he made by selling the grass to build a drinking water well for the service of public. When Bhanu heard the poor person’s determination, he realized that he hasn’t done anything for the public despite of having a lot of wealth. That is how he started writing Ramayan. He also wrote ‘Badhu Sikshya’ and other poems. Since 2034 BS, Bhanu Jayanti, is being celebrated by carrying a huge photo of Bhanu Bhakta on a chariot and carry around the capital city. A road is also named after the poet. The 42.77 Km long Bhanu Bhakta Acharya Marg road connects Dumre with Beshi Shahar. What greater luxury could I imagine! And creat a paradise here!